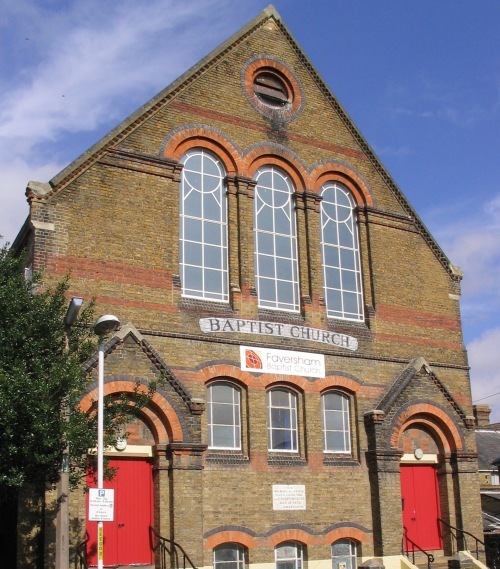 Faversham Baptist Church in St Mary's Road was founded in the 1860s and it is still going strong today - nearly 150 years later. Faversham Baptist Church is a friendly family church in the heart of the town. All kinds of people are part of the church - individuals and families; children, younger and older folk; long-term residents of the town and newcomers to the area. There are people who have attended church all their lives and those who have only more recently got involved. Although a varied bunch in many ways, we have in common a commitment to Jesus Christ as Lord and a desire to worship him together. We have a fairly informal and varied style of worship, using both traditional hymns and contemporary songs. We try to make sure that everyone is welcome and can join in as much as they wish without feeling uncomfortable. Everyone is important! Our aim is to encourage one another in living out our Christian faith according to the teaching of the Bible and to demonstrate the love of God in our community. We believe that God made us and that he loves and cares for us all. We have found that he brings hope and peace to troubled lives and that he guides and directs us if we ask. We really do believe that he is interested in you and so we warmly invite you to join us or visit us at Faversham Baptist Church soon! Disabled access available via one lift and two stair lifts. Please telephone Claire Mason on 07769 223925, or visit our website which gives full details of services and activities.